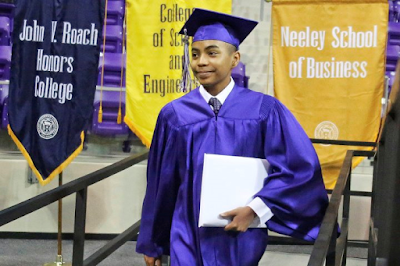 A 14-year-old physics major, Carson Huey-You, has become the youngest person ever to graduate from Texas Christian University. Huey-You was among more than 2,000 students getting degrees Saturday at the Fort Worth school. He started at Texas Christian University (TCU) in 2013 when he was 11 and graduated last Saturday . Huey-You also has minors in Chinese and math. Huey-You said his favorite thing about college was getting to learn things he never thought about, things he never knew existed and things he might not even think about thinking about. Adding that he's learned how to deal with "some real hard classes" and get over the disappointment of a poor score on a test. The self-described "normal dude" said he wants to work on getting graduate degrees in quantum mechanics.